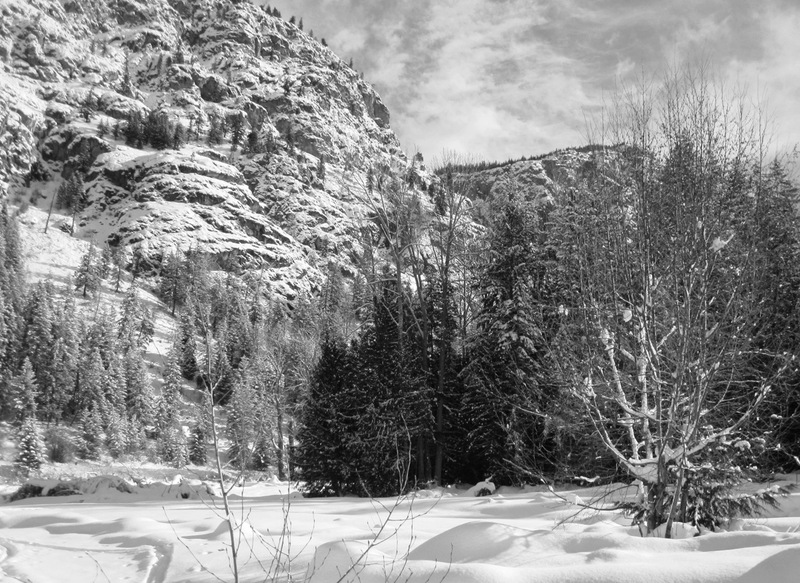 Upon returning from a stunning day skiing (yes, skiing…) atop the frozen Methow River… I was inspired to rework this poem originally started back in October of 2010 inspired by my beloved Rio Grande. Thank you to new friends and neighbors here in Washington for a feritle seed of inspiration, and to those who put up patiently with my longing for where I was. This is really wonderful Gin. I could see myself standing there watching and listening. I especially like this line “Watching the last of her dazzling dance down the mountain” because the vision of it intrigues me and makes me smile.